New Columbia is the home of a Gold Medalist. 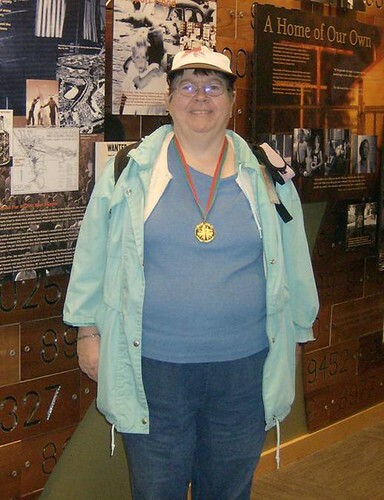 Linda Dougherty competed in the 2009 Special Olympics and took the Gold Medal in bowling. Linda's dedication to the sport has taken her to the Special Olympics several years in a row. We are so proud of her, and are glad that she loves living here in New Columbia. 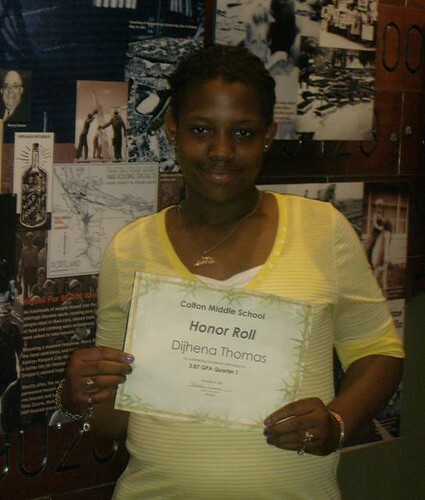 Dijhena Thomas works hard as a middle school student. Setting her sights on being an English Professor, Dijhena is well on her way and earning high marks. Her last Grade Point Average was a 3.87. Way to go, Dijhena! While Ginean is a mother of four, works during the day, and runs in invitational track meets, she still values community involvement. She participated in a focus group called Community Speaks Initiative which helped develop a survey to find out how the community feels about everything from the rain gardens to the schools. 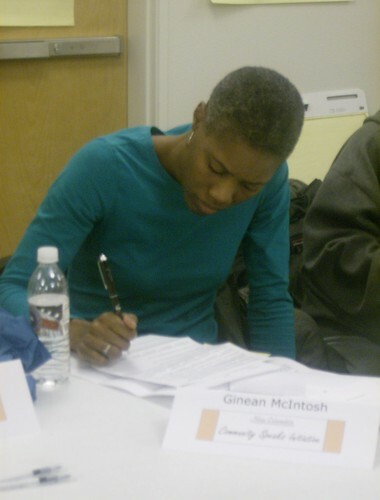 Ginean knows it takes a community to raise a child, and that it takes time and energy to build community. Whoever said boys will be boys, was right. Our youth have plenty of activities to engage in during the summer months. 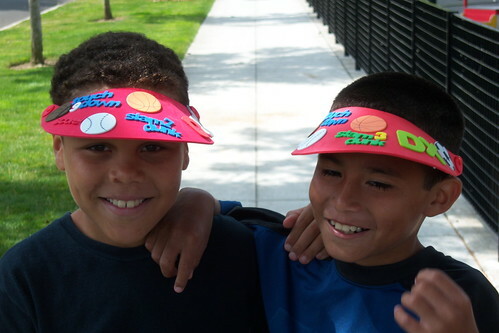 Whether they want to enter 3 on 3 basketball competitions in McCoy Park, learn to use darkroom skills in photography workshops, or make foam art visors with the senior ladies from Trenton Terrace, there are plenty of activities to keep youth involved. You won't catch Margaret watching television or playing bingo on a sunny afternoon. 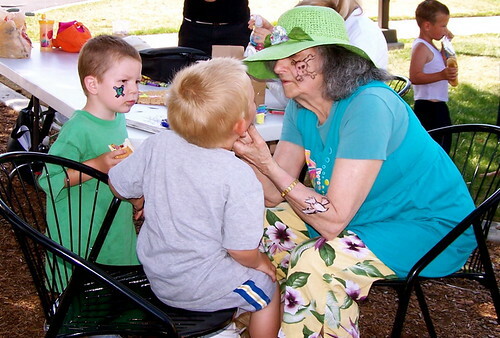 She's too busy painting faces, walking her dog Honey, or giving away prizes during sidewalk chalk art competitions. Margaret is a busy woman who is now working on writing a book about her late husband, who painted with greats like Jackson Polluck. We are lucky to have such spirited seniors in our community who bring life and energy to their community. Welcome to the New Columbia website! The Community Speaks Intiative results are in! Click the link below to read the description of this project and to get the final report. This is the online home of a beautiful 82 acre mixed-income community in North Portland’s Portsmouth Neighborhood. With pocket parks, green spaces, an opportunity center, community education centers, community building offices, senior housing and a portland parks and recreation community center, it’s easy to see that we are as successful as we are unique. Take a look around the site and check out what we have accomplished and what we are planning for our future. From an events calendar to photo galleries, this new site has plenty of information, stories and resources for residents, neighbors, and visitors. Read up on our residents’ success in the Meet Your New Columbia Neighbor section (under the Residents tab), or click through intergenerational photos of youth and seniors spending time together at our events.